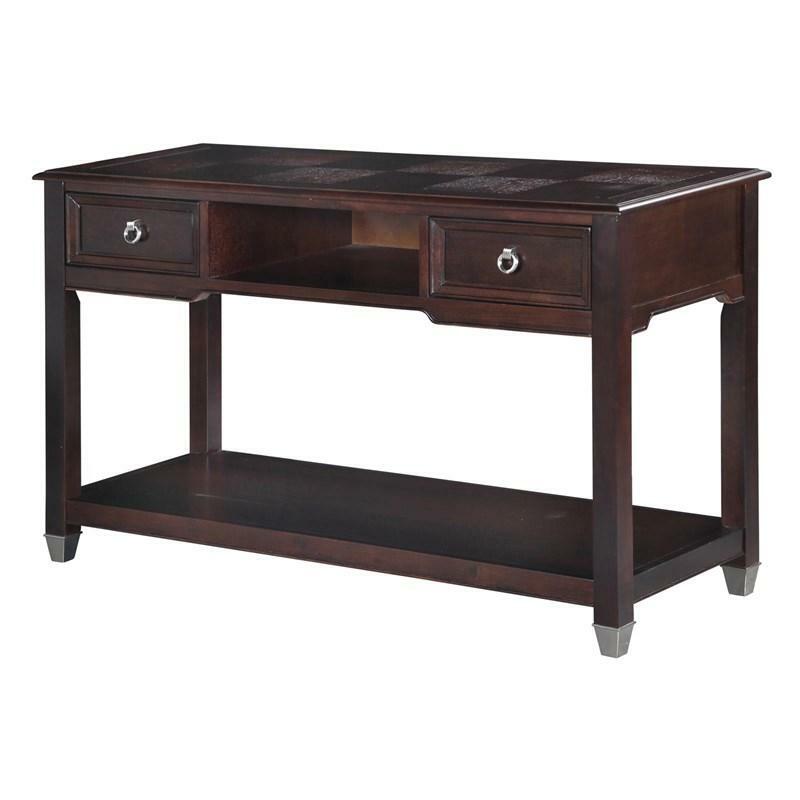 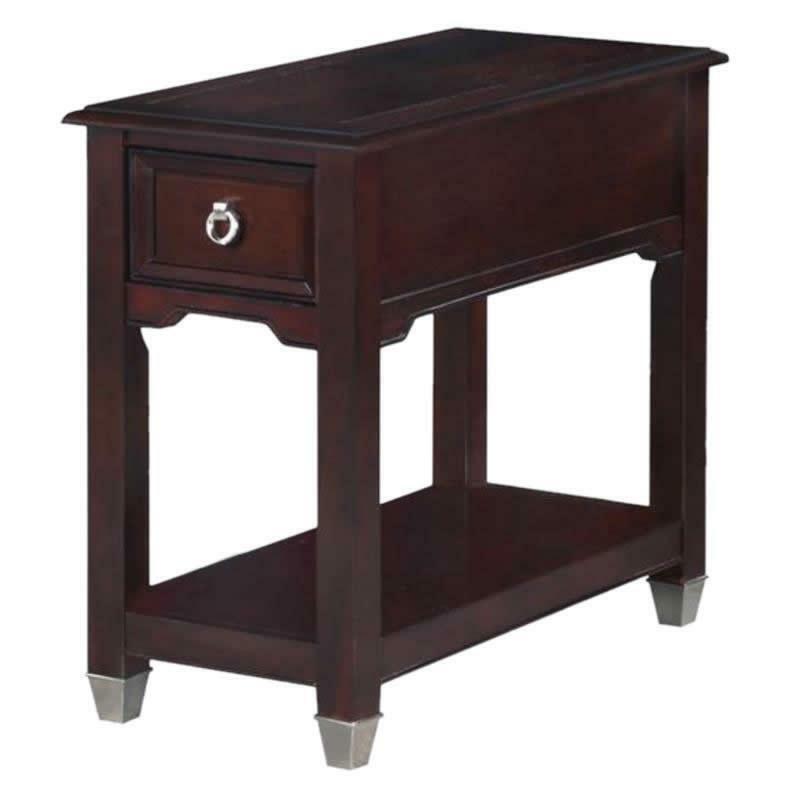 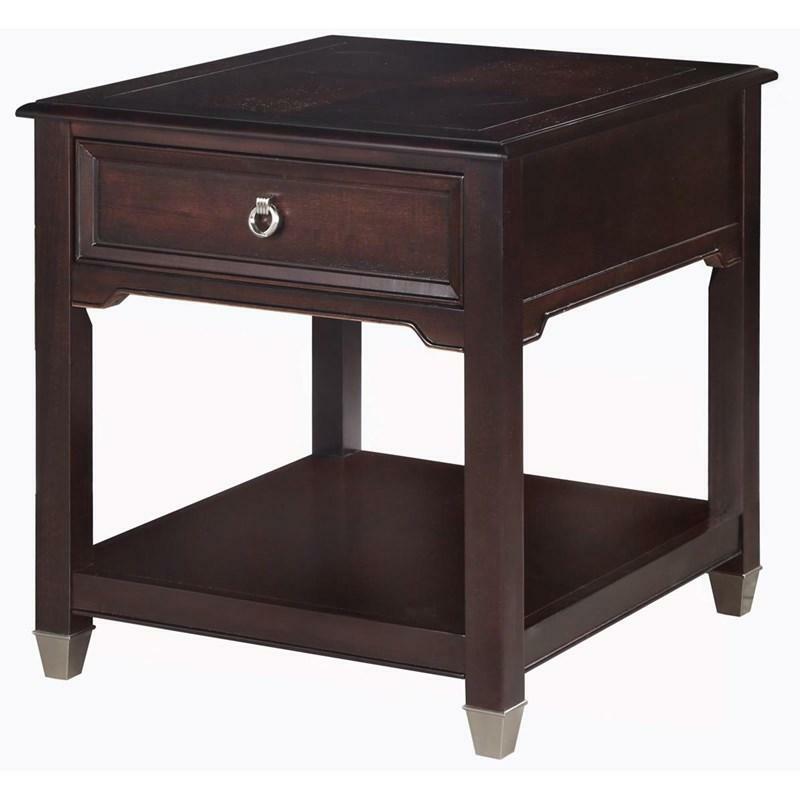 The Darien rectangular end table offers a transitional style in burnt umber finish. 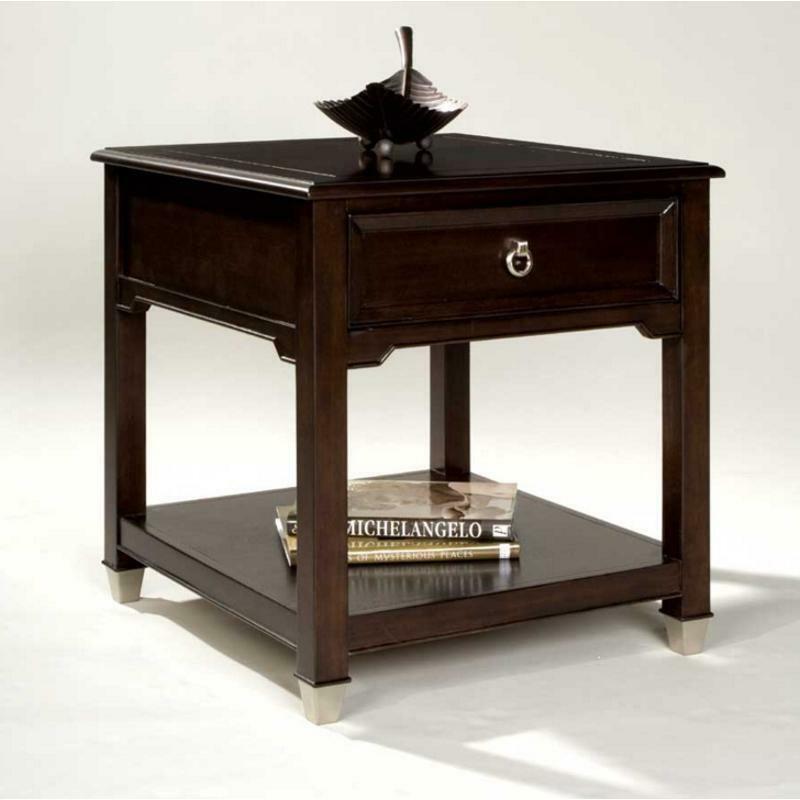 It comes in checkerboard quartered ash veneer and features a decorative vein line around the perimeter of the top. 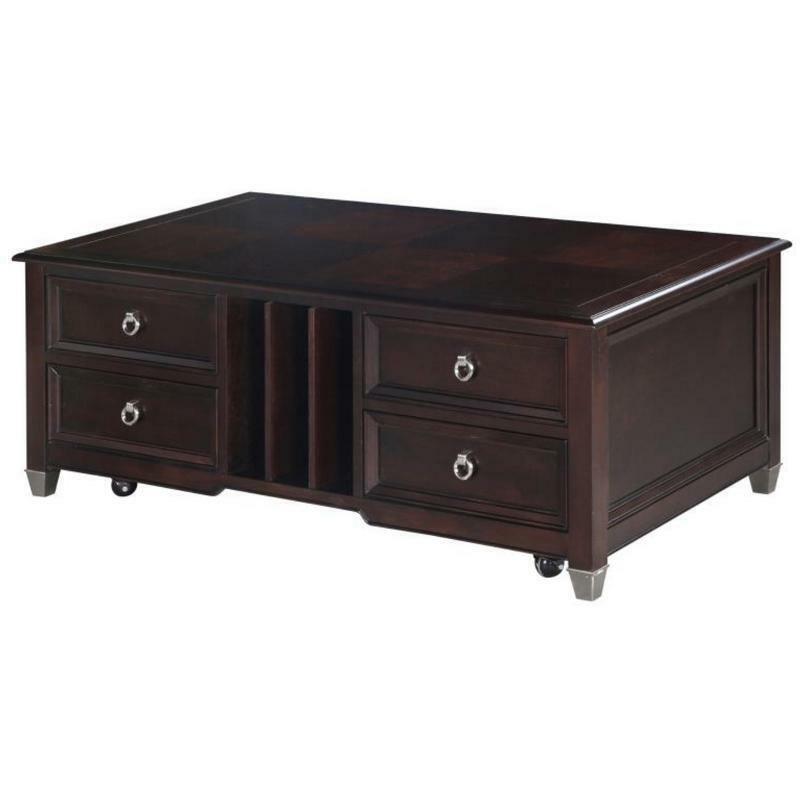 It features a storage drawer, a bottom display shelf, nickel finished pulls and capped feet. 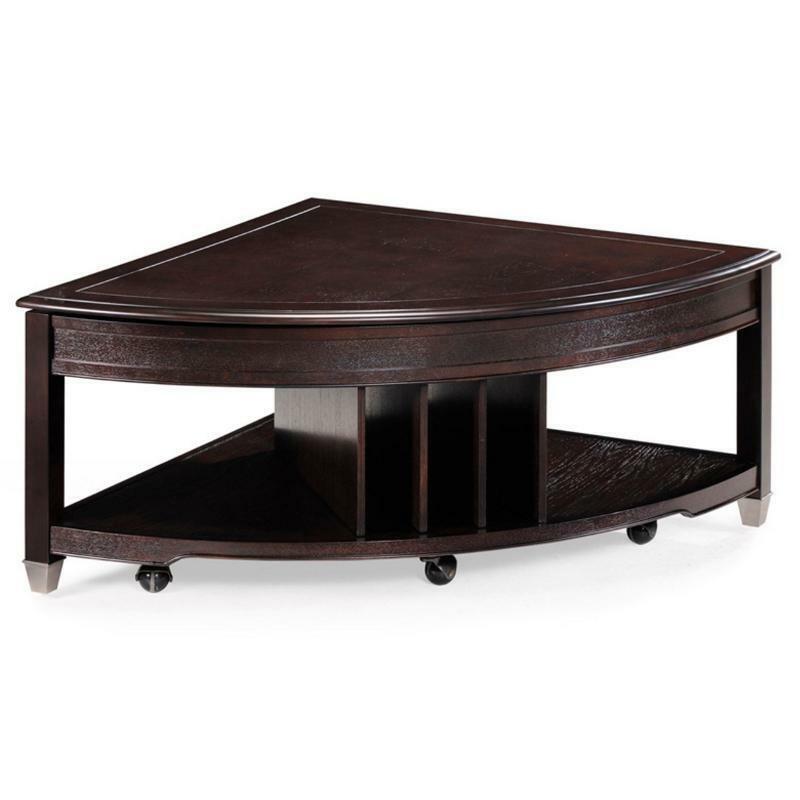 It can be paired with the matching tables to create a great set for your living room.